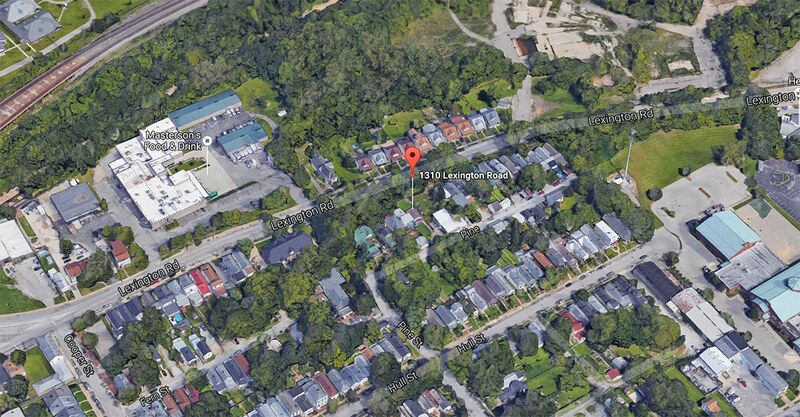 A wrecking permit (WR994499) has been requested for a house at 1310 Lexington Road in Irish Hill. The house, perched high atop a cliff on Lexington, is only visible and accessible from Pine Street behind the house. The 560-square-foot house sits on a 0.12-acre lot and is listed as built in 1940. According to Zillow, the property last sold in 1991 for $7,500. According to property records, the house is owned by Silva Viola Wilson.